At least at our house… sometimes. One of the fun things about homeschooling is that it can be so varied. It’s still easy to fall into ruts, but it’s just as easy, really, to mix things up and try new things. 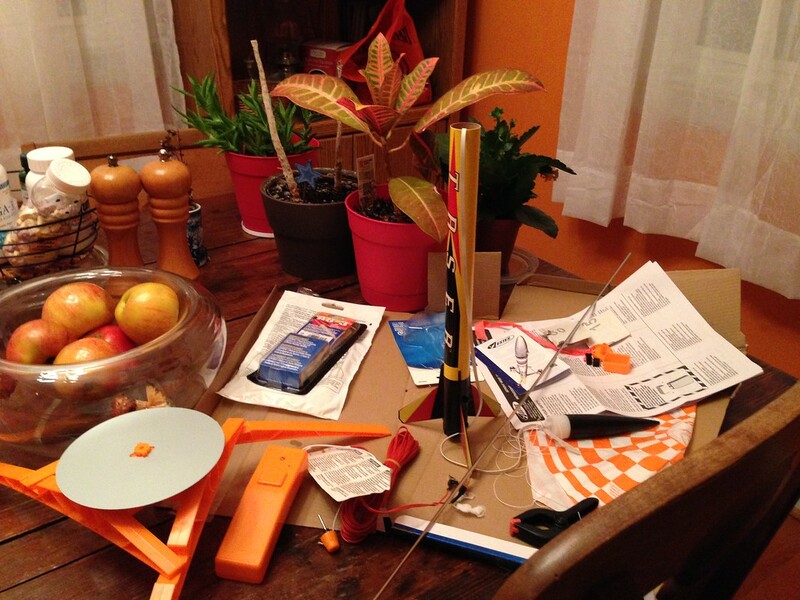 Sam and AC built a rocket this winter. It and its various parts sat on the dining room table until they found a suitable day and time to set it off. They ended up launching it in late February at a nearby park in the snow, which made it really easy to find, apparently! 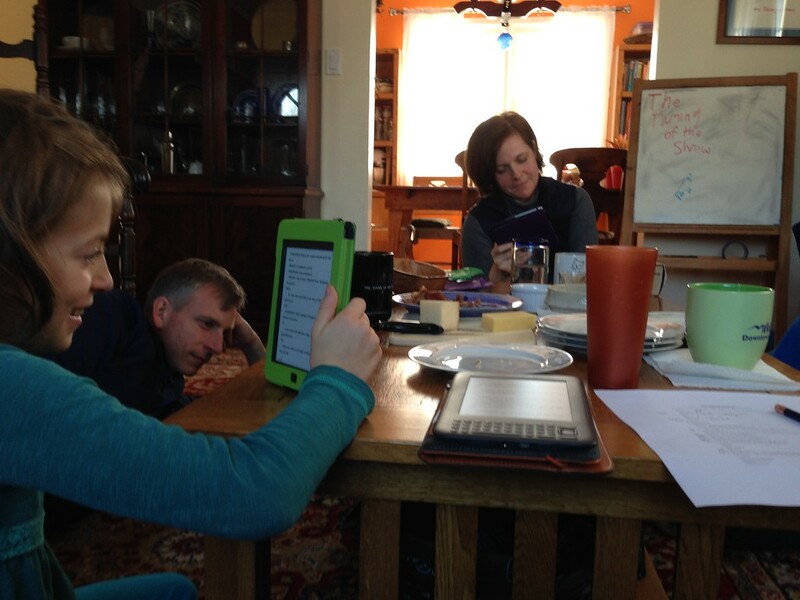 Here we did a live reading of The Taming of the Shrew with another homeschooling family. Sam loved this. We’d read a couple of a narrative versions first, so she knew the characters and story very well. We later watched the 1967 film version (starring Elizabeth Taylor and Richard Burton) before going to see a live performance at the American Shakespeare Center. Once a month we participate in a history cooperative. March’s theme was the early medieval kings of France, including Charlemagne. 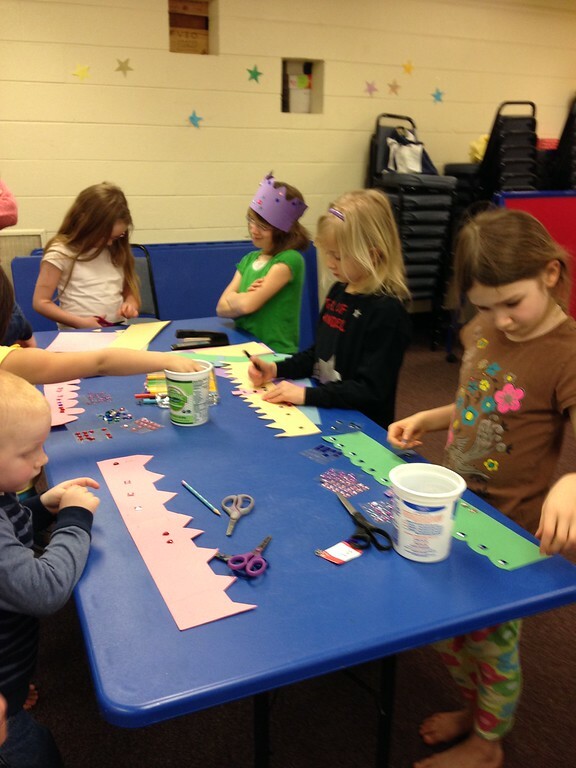 Sam led a craft booth where kids made their own crowns. 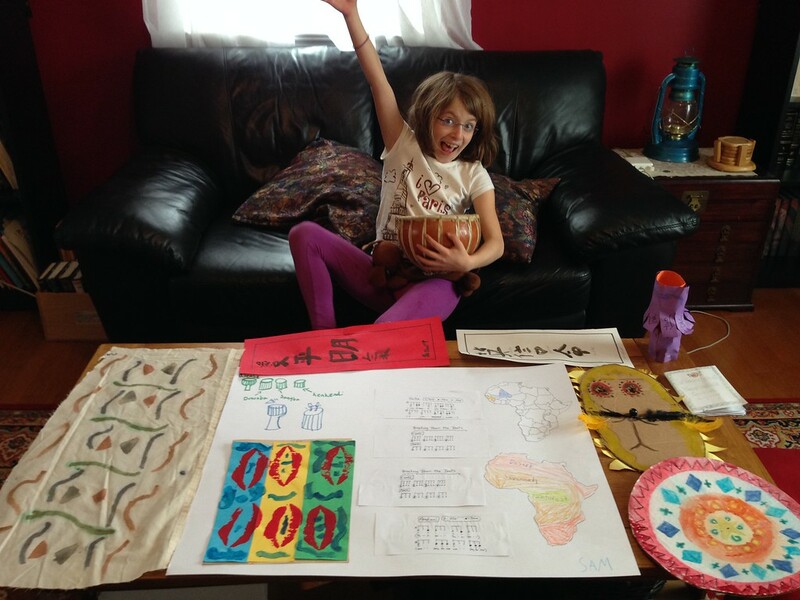 Sam shows off some her projects and artwork from the classes she took at the Community Homeschool Enrichment Center. She took classes in cooking, art, and African drumming. 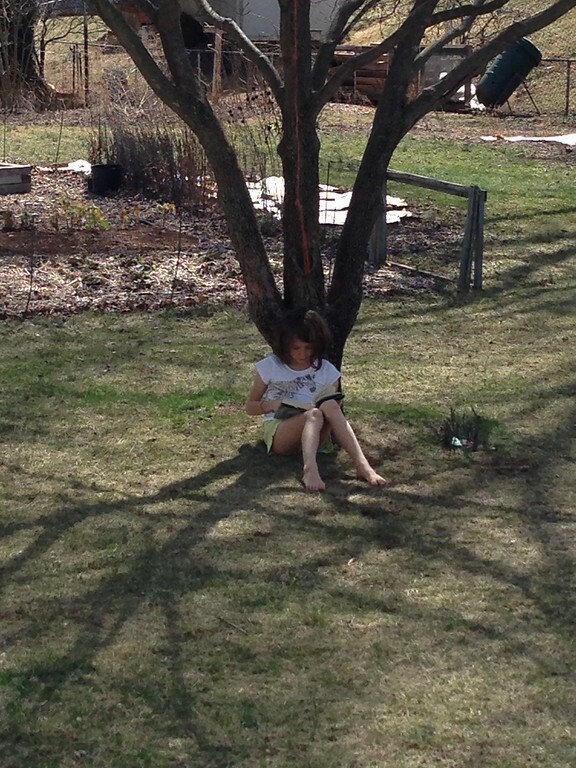 If I left her alone, Sam would read all day long. In winter her favorite spot is on top of the heat vent in the bathroom. I usually have to coax her out of there in the morning to do her least favorite subject (math). At the height of her Lord of the Rings obsession, Sam took to calling me Sarumom (instead of Saruman, the white wizard who joins with the dark lord Sauron– get it? Math is evil.) 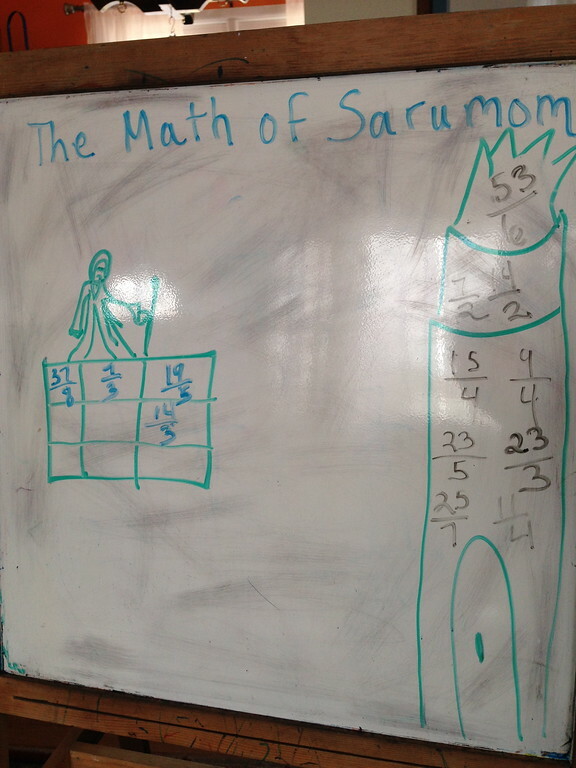 So Sarumom imprisoned all improper fractions in the tower of Isengard. 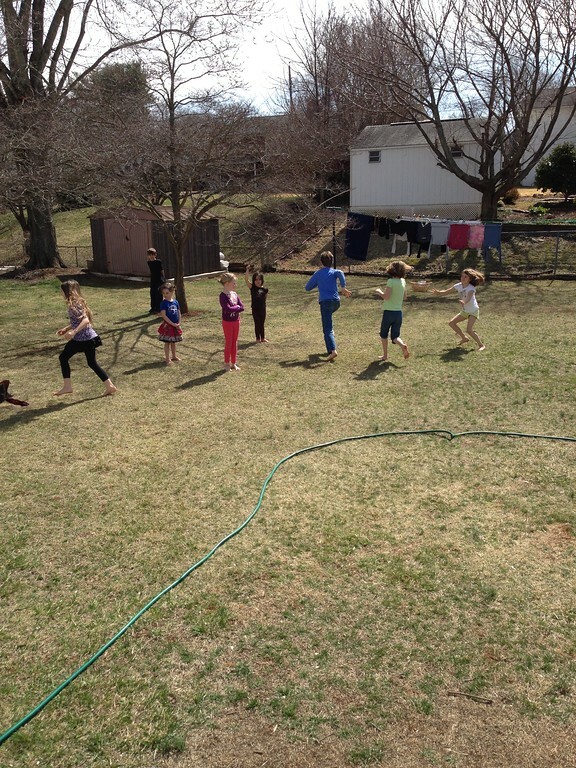 This is what our back yard looks like minutes after I release my students from French Club. The noise. Oh my. Our poor neighbors. Next time I think I’ll cover Dirty. It’s spring and time to garden. This entry was posted on Sunday, March 29th, 2015 at 9:15 pm	and is filed under 2015, Channel Sam, Home Ed. You can follow any responses to this entry through the RSS 2.0 feed. You can leave a response, or trackback from your own site.